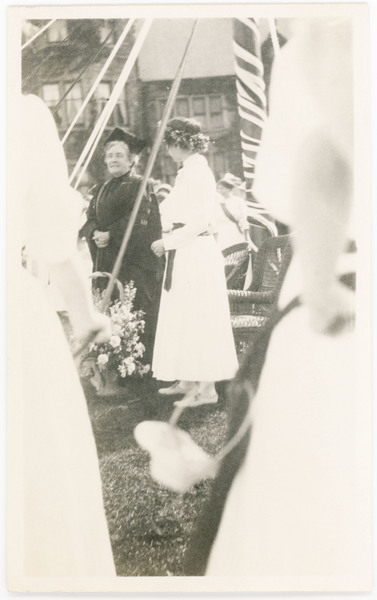 Photo of M. Carey Thomas at May Day 1913, pictured under the maypole with several students dressed in white. “M. Carey Thomas,” The Albert M. Greenfield Digital Center for the History of Women's Education, accessed April 24, 2019, http://greenfield.brynmawr.edu/items/show/1566.